MONTREAL - Canada on Thursday defended its arrest of an executive of Chinese tech giant Huawei on a US extradition request as markets wobbled on fears of fresh friction between Washington and Beijing. With China demanding the release of Huawei chief financial officer Meng Wanzhou, Canadian Prime Minister Justin Trudeau said officers who arrested her Saturday as she was changing planes in Vancouver had acted on their own. Citing a court-ordered publication ban sought by Meng, Trudeau declined to comment further on the case, which according to a US senator was brought over Huawei's activities in Iran. The arrest took place on the same day that the US and Chinese presidents, Donald Trump and Xi Jinping, had met for a long-awaited summit in Buenos Aires and spoken of easing an intensifying trade row. Markets were chaotic over news of the arrest. On Wall Street, the broad-based S&P Index closed down 0.31 percent after making up steep early losses. "The concept of getting a quick resolution is fading," Art Hogan, chief market strategist at B. Riley FBR, said of the trade tensions between the world's 2 largest economies. 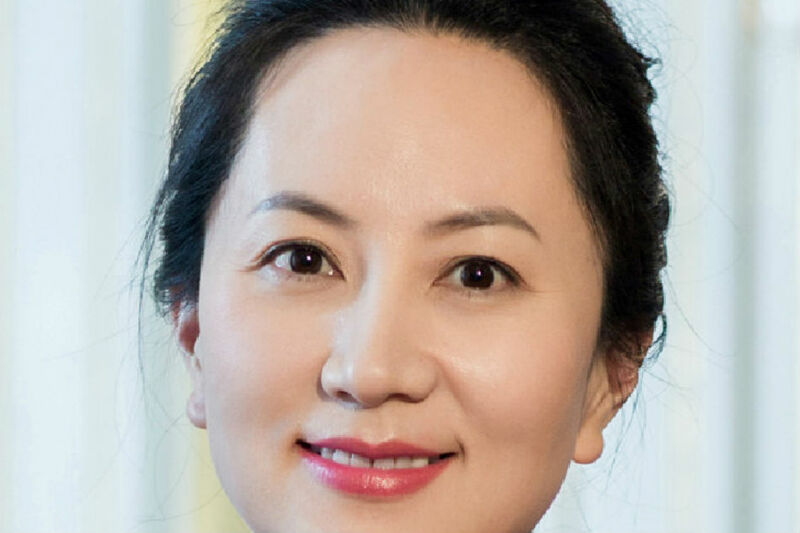 China said that Meng -- the daughter of Huawei founder Ren Zhengfei, a former engineer in China's People's Liberation Army -- had violated no laws in either Canada or the United States. "We have made solemn representations to Canada and the US, demanding that both parties immediately clarify the reasons for the detention, and immediately release the detainee to protect the person's legal rights," Chinese foreign ministry spokesman Geng Shuang said in Beijing. Huawei also said in a statement that it was compliant with "all applicable laws and regulations where it operates." Huawei's affordable smartphones have made strong inroads in the developing world, but the company has faced repeated setbacks in major Western economies over security concerns. Trump's national security adviser, John Bolton, acknowledged that he knew that Canada was planning to arrest Meng on Saturday just as all eyes were on the summit in Buenos Aires. "I knew in advance. This is something that we get from the Justice Department," Bolton told National Public Radio. He said he was not sure whether Trump -- who had trumpeted his summit with Xi as "amazing and productive" as he flew back to Washington -- was also aware. "These kinds of things happen with some frequency. We certainly don't inform the president on every one of them," he said of the arrest. "But we've had enormous concerns for years," Bolton said, "about the practice of Chinese firms to use stolen American intellectual property, to engage in forced technology transfers, and to be used as arms of the Chinese government's objectives in terms of information technology in particular." "So not respecting this particular arrest, but Huawei is one company we've been concerned about," he said. Senator Ben Sasse earlier linked Meng's arrest to US sanctions on Iran, which Trump is trying to squeeze economically after withdrawing from a denuclearization deal. Sasse said in a statement that China was "working creatively to undermine our national security interests, and the United States and our allies can't sit on the sidelines." CNN, quoting an unnamed official, said that the United States saw the arrest as providing leverage in trade talks. Canada was bracing for a fallout in relations with China, which has been increasingly willing to punish countries it sees as countering its interests. Canada's cyber security chief said the country could face retaliatory cyber attacks. Jones happened to be presenting his office's first report assessing cyber security threats. Meng is scheduled to appear in court on Friday for a bail hearing. Trump and Xi, who were in Argentina for a summit of the Group of 20 major economies, had agreed to set up negotiations to discuss US concerns over China's trade barriers. In turn, Trump agreed to hold off on raising tariffs from 10 to 25 percent on $200 billion worth of Chinese goods starting in the new year.